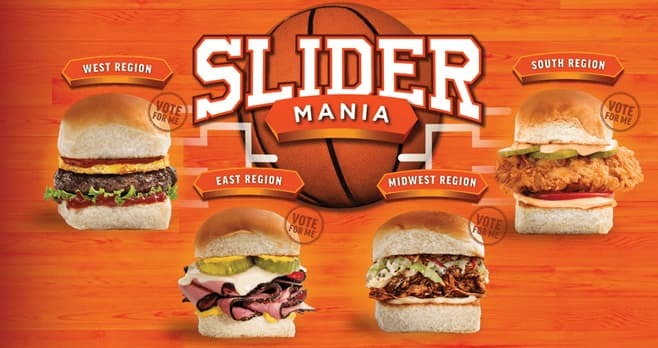 During March Madness, visit SliderMania.com and choose your favorites during the Kings Hawaiian Slider Mania Bracket Challenge. Fill in your bracket and you could win a $5,000 VIP sports weekend of your choice. The Kings Hawaiian Slider Mania Bracket Challenge is open only to legal residents of the fifty (50) United States and the District of Columbia who are at least eighteen (18) years old at the time of entry. The Sweepstakes begins on March 3, 2019 at 12:01 a.m. EST and ends on April 8, 2019 at 11:59 p.m. EST. One (1) entry per person/email address. The grand prize consists of $5,000, awarded as a check.. Visit slidermania.com to enter and see Official Rules for details.